Known steroid abuser hits game winning home run and the sporting media goes crazy with adulation. Odd behaviour just weeks after almost openly organising tar-and-feather mobs to chase down A-Rod. Does the media treat PED users a certain way depending what group they belong to? Frequent readers, or, should I say, the frequent reader, of this column will know the author will never be described as a gigantic Alex Rodriguez fan. Quite the opposite in fact. However, you do have to ask what’s going on today, with this ridiculous adulation around admitted Performance Enhancing Drug (PED) user Jason Giambi. For those of you who missed it, Giambi hit a big, game winning home run for Cleveland last night, pushing The Tribe onwards in the American League Wild Card chase. Interestingly, despite the fact that Giambi was not only heavily associated with PED abuse, he actually admitted to it, most sporting media entities are today fawning praise over him like he was the slugging version of Mariano Rivera. Is this not hypocritical behaviour from the same group that basically drove a giant collective stake through the PED infested heart of A-Rod not so long ago? Why does Giambi get praise heaped upon him while A-Rod suffers continued criticism, ridicule and worse? 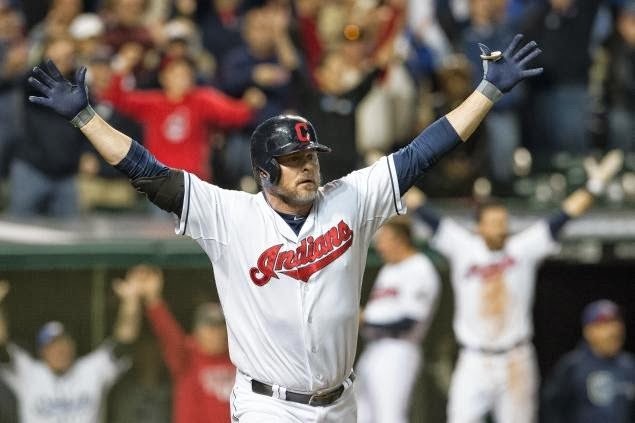 We’re not asking why does Giambi get a free-pass here, we’re asking why does Giambi get adulation heaped upon him? Why isn’t he subjected to the same scorn as A-Rod? Perhaps this is just a part of a wider process. Let’s take a look at the usual suspects, and let’s group them into two batches, A and B. Don’t get too bogged down in the ‘he said she said’ element of each individual, for better or for worse the below lists contain equal amounts of rumoured, admitted and proven PED abusers. Take a look at the two groups, and then answer the following question. If you had to pick one, which group would you say is open to the more abuse, ridicule and slander, of those two? It’s no contest, right? Group A, for whatever reason, are largely treated with a kind of nodding, winking respect, a kind of parental disappointment, ‘Yes, we know you did wrong, but we still love you’. It’s basically open season on Group B. Anything goes. A-Rod is of course the poster child of the group, and let’s face it, he has been crucified. In no way shape or form am I defending anyone on either list. Personally I think all PED users are filthy cheats and should be banned for life and stricken from any and all record books, but, that’s just my opinion. What is fascinating is how the individual abusers in those groups are treated by the media. My firm hypothesis would be that the individuals in Group A are treated with far, far more respect than the individuals in Group B. It is very much a different ball game as to how the players in both of those groups are described by the media. Tell me this, can you see the separating factor?